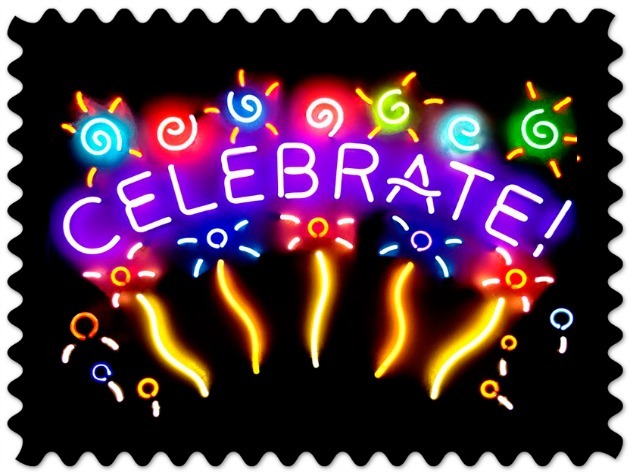 January is Celebration of Life Month and that has given me a lot to ponder. My mom, who was 80, passed away just before Christmas this year. I have spent the last several weeks looking back over her long life and the impact she had on all of us. I think it is natural to be reflective when someone you love has passed on. Laughter: Laughter the best medicine and we should do it every day. I love to laugh and I am always finding things to crack me up every day. Heck, I have two of the most hilarious kids around, so laughing is not hard to come by around my house! Last night, my husband, my daughter and I watched a movie on TV and we laughed so hard, we were crying. We were not just laughing at the movie, but at each other making comments at and about the movie! Learning: By keeping your mind sharp and continuing on a quest to learn new things, your life can be more full. You can learn a new word each day, look up a fascinating historical fact or even try to debunk a famous mystery! Whatever you choose, just keep on learning because if you are not learning, you are missing out! Documentation: Keeping a record of your life will help you remember all of your events, milestones, celebrations and the sad times as well. This can be done by writing in a journal, taking photographs or videos each day. It is always fun to go back and see how you have changed and all the fun things you did over the years. 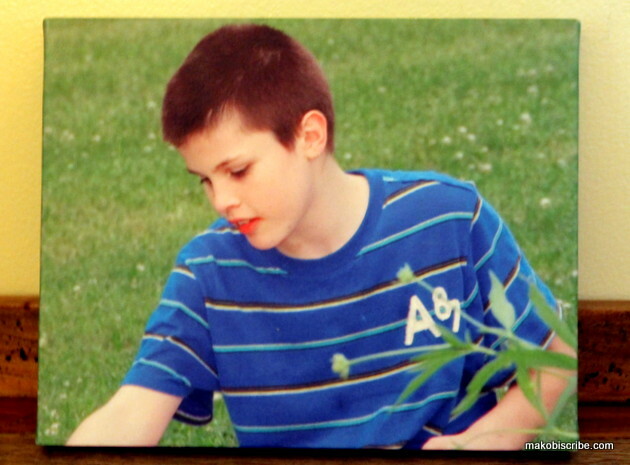 One of my newest obsessions is converting photos to art via Easy Canvas Prints. This is a super easy and very creative way you can celebrate life in your home. 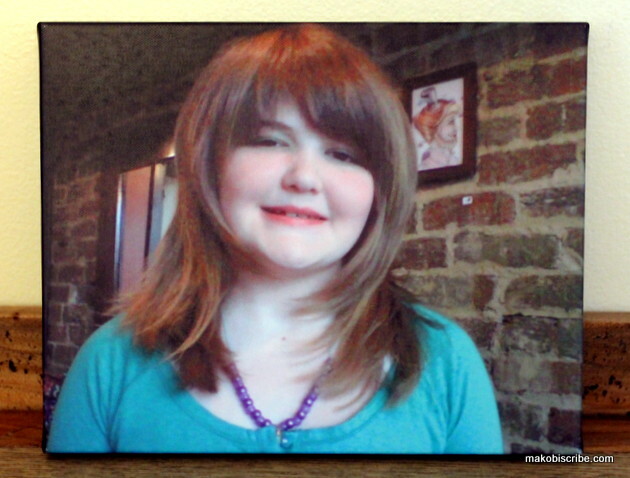 I took two pictures of the kids and had them made into 8 x 10 canvas prints as gifts for my mother-in-law. All you do is upload your pic and follow the simple steps and in no time, you have your canvas prints…easy peasy! You can choose from several sizes including 5×7, 8×10 or even 30×40 and the prices are completely affordable. You can choose the wrap on the canvas, you can have it created in color, black and white or even a Warhol style effect. Shipping is economical and if you order now, you get a second Easy Canvas Print FREE! One USA reader will win an 8×10 Easy Canvas Print $45. 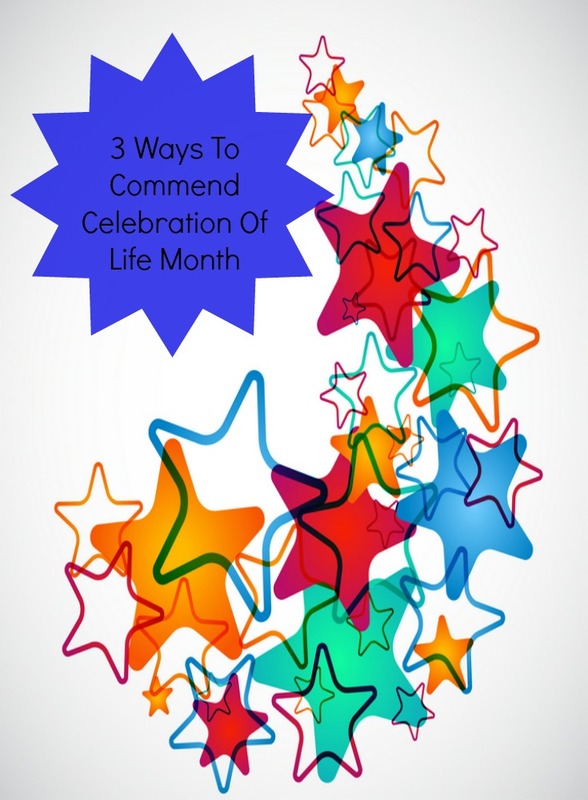 How are you going to honor Celebration of Life Month? I didn’t even know there was a celebration of life post. This is such a fun idea!